Nowadays there is an abundance of social media platforms being utilised by companies in order to effectively reach their target market. The use of social media has grown quickly to the point that this is now the most common activity on the web . According to Fast Company, 93% of marketers are now making the most of this fact, stating that they use social media as a method of marketing their business. When thinking of social media marketing, the typical platforms such as Facebook, Twitter and Pinterest spring to mind as some would say, with a combined user volume of over 1.5 billion, these platforms are most frequently used and abused by marketers. However, this shouldn’t mean that other social platforms get swept under the rug. 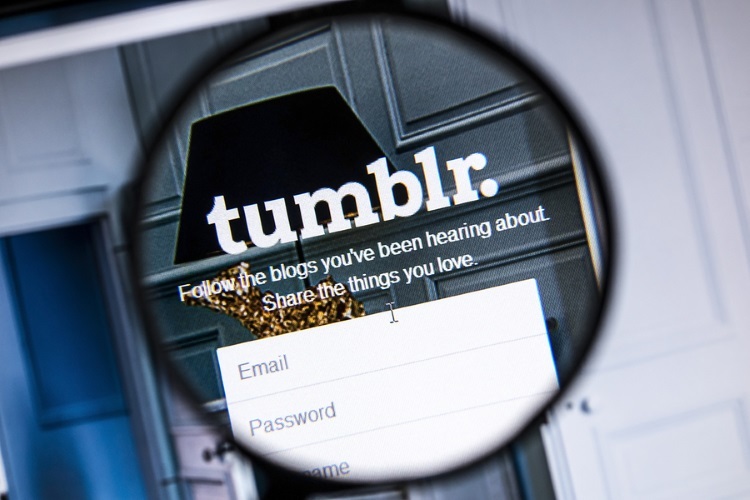 Tumblr is one social platform that often gets overlooked but, if used effectively, holds an extremely large amount of potential for both brand exposure and acquiring higher rankings in SERPS. With 130.5 million blogs and 300 million unique monthly visits, and big brands such as NBA, Disney and BMW already tapping into it, this platform should not be dismissed lightly. Memes are a fantastic way of promoting content in a quirky way. Memes provide the correct amount of content to enable the consumer to take in the information while maintaining interest. The mix between text and visual means that many consumers may only need to skim over a meme to fully understand the concept. This is a great example evidencing the power and virality of memes. Tumblr offers a strong platform for distributing your very own memes. All it takes is an interesting picture and fitting text to go with it. If you would like to read more about how to create memes and what to put into them, check out moz.com. Animated GIFS have significantly grown in popularity recently, especially within social media platforms. These visual illustrations are a great way to encourage a call to action, drive emotional reactions and also relay your brand’s personality. Animated GIFS can be used in many ways. For example, to tell a story, to catch the reader’s attention, display product information, or gain maximum exposure for the brand. Buzzfeed is a company well known for constantly using animated GIFS in its web content to reach its target demographic. Here is a great example of how Buzzfeed have used GIFs. It is worth mentioning that images and animated illustrations are a great way to instantly connect with a user. According to Geofflivingston, images provoke 40% more shares in social media than text. As well as this, Hubspot suggest that 40% of people will respond better to visual content rather than plain text, and that 90% of information transmitted to the brain is visual. Tapping into these statistics by conveying visual content through Tumblr is a great way to get the most from your target consumer while taking much less time, 9 times out of 10, to be consumed and understood by the brain than text alone. This being said, using methods such as animated Gifs is an effective way of quickly getting a readers’ interest while providing an easy post for them to quickly read and share with their followers. The advertising life is a great example of a Tumblr account that fully utilises animated GIFs in order to tell their story. For an insight into how you can create your own animated GIFs, visit hubspot.com. For many business owners, Vines have opened up new ways of connecting and engaging with their social following. Vines are a useful way to quickly display information, provide humour, make a point or even just generate a quick 6 second clip that will interest your users and link them back to your site. The snappiness of the 6 second clip opens up a whole new world of creativity. This is especially useful due to the amount of noise and clutter now on social media feeds, and the fact that many users tend not to spend too long on certain posts as their attention is quickly dispersed. So there it is; 3 quirky, visual techniques for you to utilise on your companies Tumblr account. To add further reinforcement, bear in mind that Tumblr’s key demographic is 34 and under. Visuals are well known as a great way to tap into the younger generation’s mind and elicit emotional reactions, furthermore provoking social sharing. So to reap the benefits of this cost effective and practical method, start implementing one if not all of the 3 techniques today.